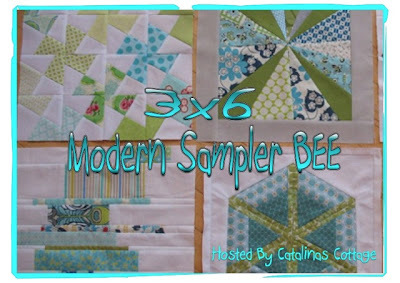 So - Round 3 for the Modern Sampler Bee will commence in July with blocks to be completed and sent by the end of September. We are making and sending to each other 12.5" x 12.5" identical Blocks of OUR choice in the colour choice of the individual BEE members out of our fabrics. I have thoroughly enjoyed the first two rounds and am looking forward to this one. If you'd like to join in the fun, leave a comment or email me or Cat. Go on... you know you want to! Looking forward to hearing from you lovely people! This is the result of blocks received and made so far... with more to come! I have finally completed the scarf I started a while ago! I ran out of two colours and it took about two weeks to find time to finally find the right colours at selected shops! This one I tried today - my first attempt at paper piecing... I definitely need more practise though before I feel like I've got the hang of it! 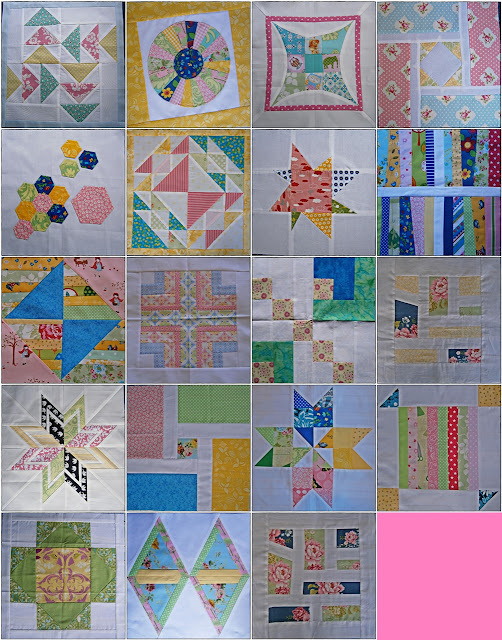 These next to for a friend of Cat, who's making a star block quilt. While at it I tried my hand at appliqué and blanket stitching! Thanks for the tips guys! With a bit more practise I'll get them looking more uniform! And these two in the mail for the Bee. I am looking forward to laying all the blocks out and see how it might look! 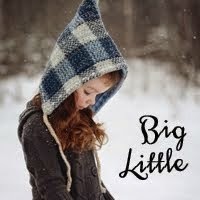 I've also decided that I'll turn it into a quilt for my eldest who turns 5 next year. She already loves helping Mummy with all the blocks and putting them together! Hope all is well in your worlds! A few nights later... Ta da! My kiddos are all slowly getting better - thanks for all your lovely comments and best wishes : ) It's been a long week and the nights have been even longer... One feels so helpless in the middle of the night when you've done all you can and yet they cough and cough and cough making them feel even more miserable... We'll all get there I'm sure! Hope you've all had a splendid long weekend and the week ahead is looking dandy!